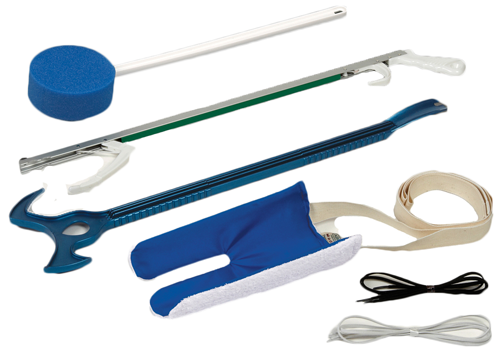 Dressing Aid Kit with Metal Reacher, Stocking Aid, Dressing Stick, Bath Scrubby and Shoelaces - SHIPS FREE! The Dressing Aid Kit with Metal Reacher offers several tools to help people get dressed. 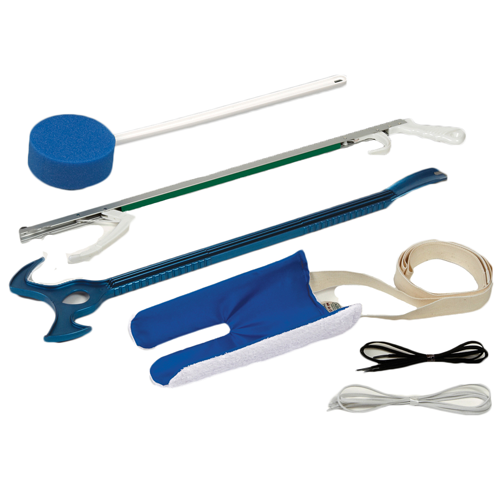 The aid kit comes with a metal reacher, stocking aid, dressing stick, bath scrub and even shoelaces.